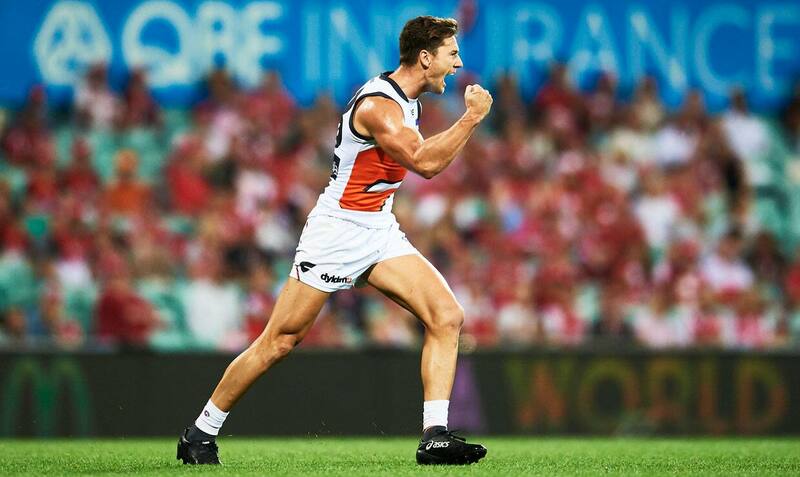 Daniel Lloyd has been upgraded to the GIANTS' senior list. Forward Daniel Lloyd has been upgraded to the GIANTS’ senior list as the club submitted its first list lodgement on Wednesday. The 26-year-old has spent the past three seasons on the GIANTS’ rookie list after joining the club from near-obscurity, selected with pick 26 in the 2016 Rookie Draft. From the New South Wales Central Coast, Lloyd was spotted by assistant coach Mark McVeigh playing for Black Diamond League side Killarney Vale in 2015 and impressed upon his arrival at the club helping the NEAFL side to its first premiership in 2016. Lloyd has played 21 games for the club and kicked 15 goals since debuting in a thrilling three-point win over Collingwood in round eight, 2017. 2018 was a breakout year for Lloyd with the former carpenter playing 14 games and kicking 11 goals. Lloyd collected a career-high 20 disposals, took seven marks and kicked a goal in the GIANTS’ win over Brisbane in round six and played a key role in the GIANTS’ season defining win over Adelaide in round 11, laying nine tackles.